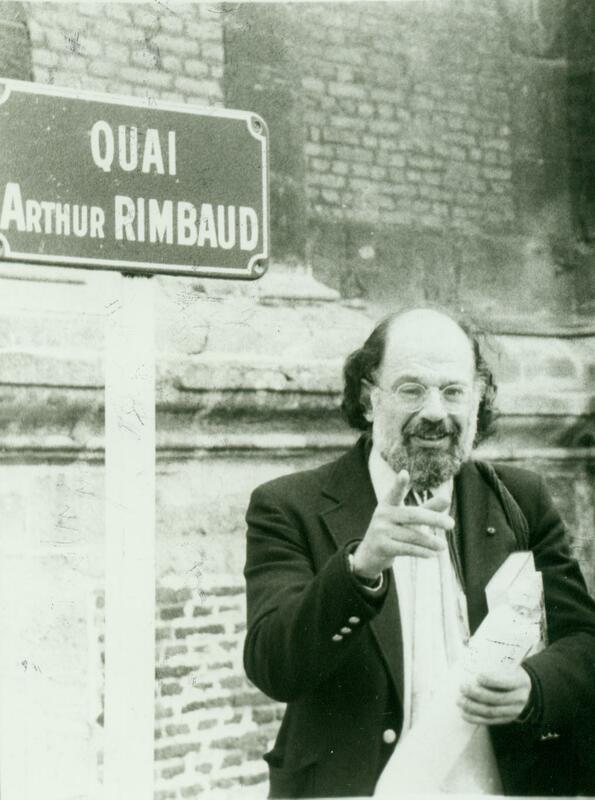 …That you are unable to understand why I make so much of Rimbaud, dismays me somewhat. Though I should dislike to be over-bumptious about it, with your kind permission, I must witness his defense. I fear that since you have read Rougemont‘s Partie du Diable you possibly approach Rimbaud viewing him as another eccentric French Satanist somewhat in a class with Maldoror, fit to be the prophet of the Mexican Hashish Surrealist Quarterly. Rimbaud had an attack of Diabolism somewhat appropriately at the age of puberty and lost it , as far as its meanings go, soon thereafter as far as I’ve been able to tell. I would say that, to his credit , he surpassed the more highly advertised and shallow spiritual struggles of Baudelaire-Dandyism and diabolism as puerile reactions of the puritan temperament to the “vulgar complacency” of the times. 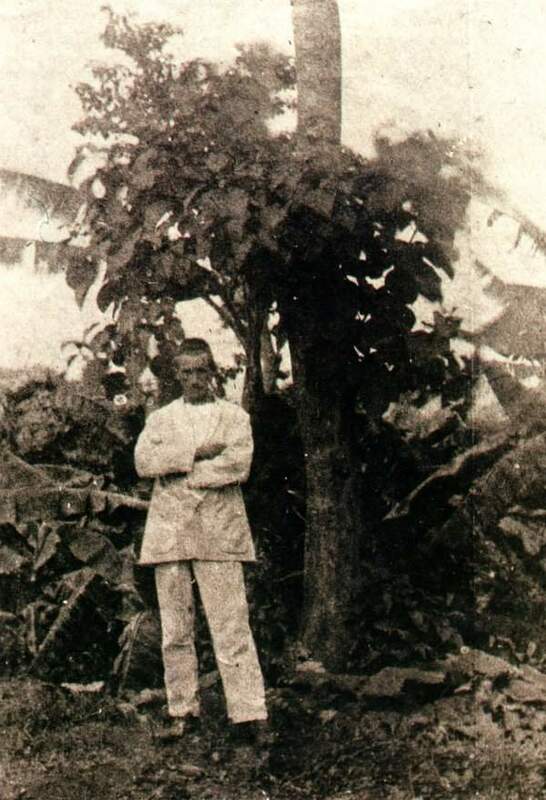 I think of Rimbaud as a hero in the sense of having a violent, varied – and finally mature – response to a fairly representative social situation.Not that of a provincial 19th Century Frenchman, that of a Western man. He was flexible enough to change his ideas to correspond to his experiences , and in consequence ran the gamut of political , religious, nationalistic, and esthetic visions and verdicts that have attacked the significant figures of modern poetry. I approve of Rimbaud because unlike the heroes of the Columbia (University) Bookstore, he survived and mastered these visions, and rose above them to a solution to the “problems” of our time which as yet our writers are first discovering. As I remember, in his earlier years he underwent the Dedalus Pontifex religious dilemma in an abridged form, and turned political after loss of faith. After divesting himself of the notions of the usual politically conscious writer (entertained in our time by the Book of the Month Club “Talentgang” perhaps), he turned, in the usual developmental groove, to aesthetic salvation. Here the development of the poor poets of the nineteenth and part of the twentieth century seems to have stopped – unless like (W.H.) Auden and (T.S.) Eliot they have crawled back into the womb of the virgin. Pragmatic religion bores me at this point and so I continue with the fortunes of Rimbaud – who at his stage of the worship of Orpheus, with the concomitant illuminations, Satanism, “dereglement de tous les sens“, his physical and moral depersonalization, had the most amusing circus of them all – Yeats, Joyce, Rilke, James, Wilde, Flaubert – while it lasted. I think that he pursued this orphic wonder, experience for art’s sake, the unsocializing of the animal, more effectively than any modern writer – probably because of his youth. At the same time I sense in him an ability to make contact with his culture personally, to actively live in it and be of of it – and this in an artist has completed the circle of absolute artistic depersonalization, paradox or not. I think that this “realistic” contact is unknown to the other exiles at his time, except Dostoyevsky and the later Joyce. 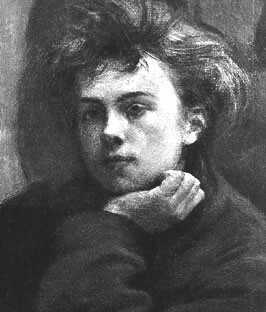 In the period of the early Season in Hell, Rimbaud felt out his culture – his Charleville and his Paris – and analyzed it , in more primitive terms, to the same effect that Freud and Spengler later did. He went deeper than the reformism of Butler, the ivory-towered amorality of Mallarme. dug deeper for a faith than Dedalus did in finding himself in art. The reason for this I think in regard to the “Aesthetic adventure” is in Rimbaud’s use of art constantly as a key and not a mystical telos. He wound up with a Bohemian version of the 1920 Fitzgerald, though less provincial, less superficially idealistic, a master of exterior circumstance. He presents by implication and statement the sociological, not the abstractly ethical, “spiritual” problems of his time. His struggle concerns not merely the unpoetic machine versus faith, which is naive; nor individual power versus collective boorishness, as in Nietzschean anarchy; he presents not diffused evils to be conquered, or wicked individuals to be curbed, or heroes to emerge, and dragons to be killed – but he knows a complex anthropological unit in what appears to him to be in a stae of cachexy – a whole syndrome of ills adumbrating a cultural decline. He fixes the symptoms somewhat in Freudian terms as the conflict between the anarchic impulses of the individual psyche and its needs, and the mores of a categorized protestant civilization which is crippled because it conceives of pleasure as evil. He is interested in types representative of a neurotic culture, one ridden with anxiety and tension, the civilization of the false passport, insecure, confused, in sum, chaotic. The important person is the outcast (not the literary egoist), but, as in the Satyricon of Petronius, the keen levelheaded men of basic understanding, In the army, one of his practices is to gold brick. He is the type (in civilian society) that is master of his corner of reality, who cuts through the confusion of the disorderly culture to achieve his individual end – the Raymond Chandler hero, the sharp-eyed gambler, the dead-pan cardshark, the tense tendoned gambler, the “hood” – the types that are comng into prominence now in the movies (Alan Ladd) in James M Cain, in (John) O’Hara. There is an interest in the psychopath who moves in his pattern unaffected by moral compunction, by allegiance to the confused standards of a declining age. 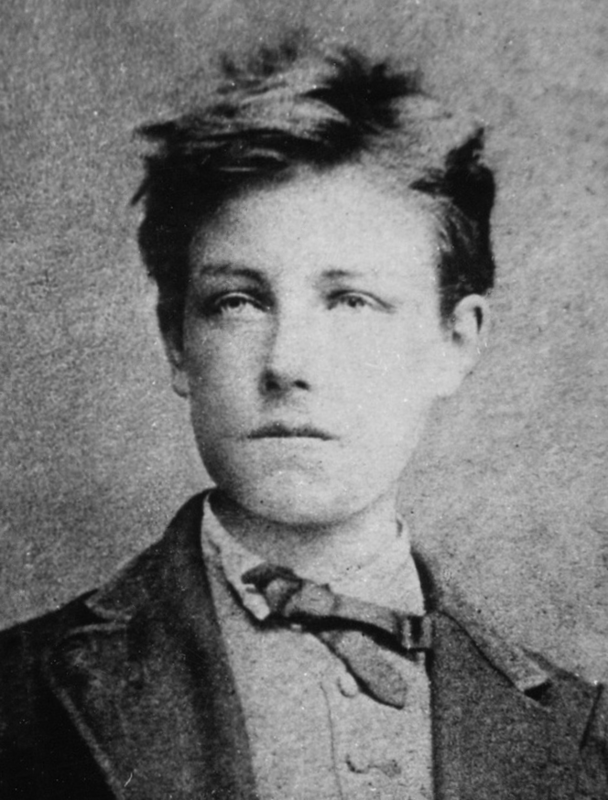 Yet even this stage of unrebellious anarchism is surpassed by Rimbaud. The Civilization, as he and most others seem to agree, offers no hope of personal salvation, no vital activity, no way of life within its accepted structure. His creative powers are not realized in the usual activities of the citizen – at the machine, in the office. Realizing that art was an escape – and merely an escape, a fool’s paradise, a Dedalusian ivory tower – and admittedly so, considering the myths of the wound (Cocteau‘s) or the Wound and the Bow (Wilson’s) which represent art as compensation for creative activity in life – Rimbaud amputated the wound and cast off the bow and went to Africa. This was the exodus from society not into the futile exile of the artist, but into living salvation in the land of the primitive, unrestricted, uninhibited. And he embarked to a rigorously active public life as a gun-runner and slave-trader. With Rimbaud as catalyst the problems that supposedly beset the sensitive youths of the day are crystallized realistically for the first time, I think. And so I look to him as “prophet” of the present literary concern with anthropology and psychoanalysis, the shift in vision in society from the simple idealism of Sinclair Lewis to the complicated half-hidden Spenglerian Weltanschauung of (John) O’Hara, and, I predict, the whole crop of post World War II writers. Whether or not his pessimism prevails, his idee, his sociological approach rather than moral, has already prevailed. Secondly, he remains one of the earliest forerunners of our modern “classicism”, the casting off of the aesthetic preoccupation in favor of personal activity, the relegation of art to a tool and not the salvation of battered souls. Last, he is one of the few writers whose problems are recognizably limited to his age, as Freud’s psychological structure reflects the mind of the middle European of the 19th-20th Century. 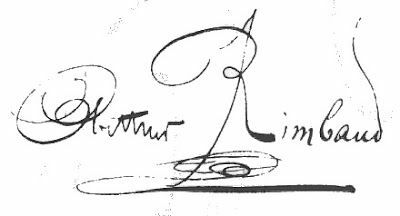 In this sense there is less confusion in Rimbaud than in many other writers,who tend to universalize the conflicts in them peculiar to their time and place. In sum then, I admire Rimbaud not as the poet maudit, the decadent, but the representative hero, the sociologically concerned, and in the highest manner politically minded poet. I think there will be many more Koestlers who, reflecting their time, unconsciously participate in his ideas, look at western culture avec son idee. Wish people would read Rimbaud and not pre-conceive their response to an idol. He exhausted the 1860s library of all of human knowldege in 3 books. But from his first poem he was trying to break out of those times, that place, without in any way thowing it away. Verlaine transcends his times in the things he imaged and in his understanding that human conversation is defined by what is left out. (Both totally missed by Anglo-American but not Continental readers.) Baudelaire is about word order. An expression that cannot be organized differently. Mallarme about the breath, the Caesura, the human makng art. But Rimbaud both does and doesn’t do all of those things. He is the restless searcher on a trajectory. He not only would never write again he could never write again. He was free. It is like the teenager prone to trouble who turns on a dime as he looks you in the eyes and say: “It’s alright. I was raped. I was shot. I am gay. I just needed to talk to someone. I’ll be fine.” He is frozen forever in that role.